PORT OF SPAIN - Between 1996 and 2016, the registrar general in Trinidad and Tobago recorded 3,478 child marriages, with almost 98 percent being females. Further, marriage certificates showed that some of them were girls as young as 11 and 12 who were married to men as old as 36, 42 and 56, the Trinidad Guardian reported. These statistics were disclosed by Attorney General Faris Al- Rawi in the Senate on Wednesday afternoon as he piloted the Miscellaneous Provisions Marriage Bill 2016. The bill seeks to raise the age of marriage to 18, as recommended by the United Nations, Al-Rawi said. It seeks to harmonise marriage contracts across the board, and be in keeping with the Children’s Act of 2012 which forbids marriage under the age of 18. It seeks to amend the Hindu Marriage Act of 1945, the Muslim Marriage and Divorce Act of 1961 and the Orisha Marriage Act of 1999, which allow marriages from the ages of 14, 12 and 16 respectively in the case of girls. 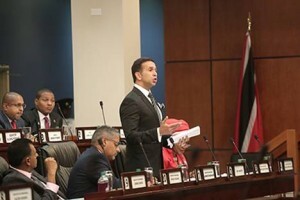 Al-Rawi said Trinidad and Tobago is one of only eight countries in the world where someone can be married as early as age 12. The Bill proposes to criminalise the marriage of people under 18 by a marriage officer, who would be fined $50,000 and jailed for seven years for the offence. Al-Rawi said the bill comes after 26 years of public discussion and seven months of government consultations on the matter and he had received numerous submissions from civil society on the controversial matter, some for and some against child marriages. Temporary opposition senator, Maulana Waffie Mohammed, giving an indication in which direction the opposition may go, said the Islamic Council of Scholars he represents did not support the Bill. Mohammed said he and the Council were guided by the Q’uran, which allows girls to be married at age 12. He said this was the command of God.